Celina takes great pride in the quality of our work. To set higher standards for ourselves, we have constructed a Quality Assurance Laboratory in our manufacturing facility. Celina provides customers with the highest quality product available through rigorous quality testing from base material to finished product. Microscopes allow our engineers to judge minute changes in material made by our various weathering processes to see the extent of damage sustained by the test piece. Material can be viewed for fraying scrim, the extent of abrasion damage to PVC coating, and extent of pinhole damage. Scales are used to observe minute changes in a test piece to find how much of the material is removed by various weathering methods. To make sure that no drastic changes in material thicknesses are introduced between lots, material thickness needs to be continually monitored to ensure continuity. The material thickness gauge measures the thickness of materials down to 1/1000th of an inch. Reduced thickness can result in a reduction of material strength, and may indicate a missing internal layer, extra layering or miss-labeled product being shipped to us. Materials from different batches or fabrication runs may differ slightly in shades due to inconsistencies in the inks and dyes used; in order to keep the appearance of our colored fabrics consistent, all incoming lots of materials are evaluated and compared to a master sample of colored material within the MacBeth Spectra Light. The cabinet has various settings, including UV, Commercial Fluorescent, Incandescent Home Lighting and Simulated Daylight, in order to assess every possible context in which our products may be viewed. While problems such as scrim mold may be avoided with Mold Prevention Treatment and care to avoid pin holes and abrasions to the fabric, the natural wicking properties of the internal scrim can undermine and preventative measures taken. For this reason, Celina regularly endeavors to find fabrics with the lowest wicking properties available. Materials are placed in a colored bath before being removed and inspected for the extent of wicking which has occurred within the specified time period. Celina sources materials from all over the world; our quality lab is equipped to test as many aspects of the incoming materials as possible. Many of the items we offer arrive pre-assembled or manufactured to ensure a better value for lower cost. 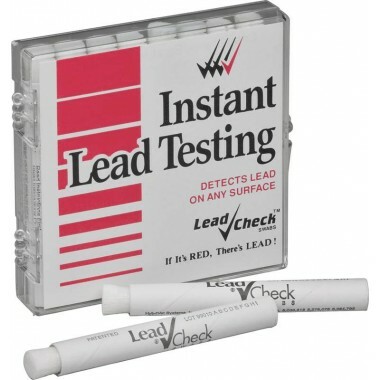 For any painted items, we use instant lead checking pens to make sure that no lead-based paints were used in the manufacturing of these products. Elmendorf Tearing Testers are used to determine the tearing strength of fabrics or other similar materials. It does so by measuring the work done in tearing through a fixed length of material. Material is secured in the machine, and a small cut created to specific limits. The pendulum arm is then raised to its stoppered point, and once released uses gravity to tear the test piece; when compared to control tests, the amount of force lost during the tearing equates to the amount of force required to tear the fabric. Averages of 5 to 10 tests are taken in order to eliminate any possible error and create a mean force reading. Vinyl fabrics used in tent and structure manufacturing are created and tested to make certain they are compliant with flammability specifications such as NFPA 701 and CPAI-84. Testing for flame resistance requires tightly-controlled environmental parameters, easily controlled by our Vertical Flammability Chamber. This chamber houses safety vents and an ignition source to provide safe operation in a controlled environment. Our Tensile Testing equipment pulls on basic materials such as webbing or rope, construction methods such as heat seals and sewn seams and raw materials from our vendors. Pulling items to their tensile breaking point gives us the holding limits of each item, allowing us to calculate an approximate danger zone for usage and locate a safe operational zone. Each zone is then compared with the stresses normally placed on the item under normal circumstances. The Compression Tester allows us to find the maximum load capacity for items, and is primarily used to test the ultimate strength of Celina’s resin folding chairs. For basic purposes, the tester is fitted with a 1000 lb. load cell, which can be switched out for a 10,000 lb. cell in the event that the test product withstands the machine’s maximum strength. The Accelerated Weathering machine allows us to place materials and components into environments that simulate months or even years of weathering. Through the use of UV lighting, elevated temperatures, and humidity control, test pieces can be weathered 10 to 20 times faster than normal, giving us accurate endurance data for all of our fabrics and materials. Using the Gravity Convection Oven, Celina is able to test weathering in the opposite extreme from the Accelerated Weathering machine. Materials can be placed in a simulated hot, dry environment to test seal fastness. Climates that are high in moisture and salt content, such as coastal regions, can be especially hard on the metal frames, poles, and tent components that we offer. As such, the Salt Spray Test Machine allows us to create an extreme, worst-case-scenario test to appraise how well our metal pieces withstand these conditions. In order to ascertain the wearing attributes of the fabrics we use to manufacture our products, the Taber Abraser Rotary Platform is used to test abrasion resistance. Materials are loaded onto a revolving turntable, which spins at a constant speed. Two abrasion wheels are loaded onto the machine, set at a 90 degree angle from the test sample. The machine is set to make a preset number of cycles, with control weights on the abrasion wheels to simulate different amounts of wear. Wind Whip prevention is an important concern; in addition to the creation of engineering designs to limit the mobility of fabric is winds, understanding that different makes of fabric have different resistances makes the fabric selection process vital to our continued leadership in the fabric structure industry. We evaluate new fabrics, fabric combinations, and attachment or layering alternatives for their steadfastness to resist wind whip. Testing the Dyne Levels of fabric allow us to evaluate the surface tension of materials for how well they will absorb the inks we use for our in-house printing capabilities. The higher the surface energy (or Dyne level) of a fabric, the higher the surface energy/Dyne level the ink will have to be. Fabrics are checked for their Dyne level to ensure that the inks we use will properly adhere to the material. 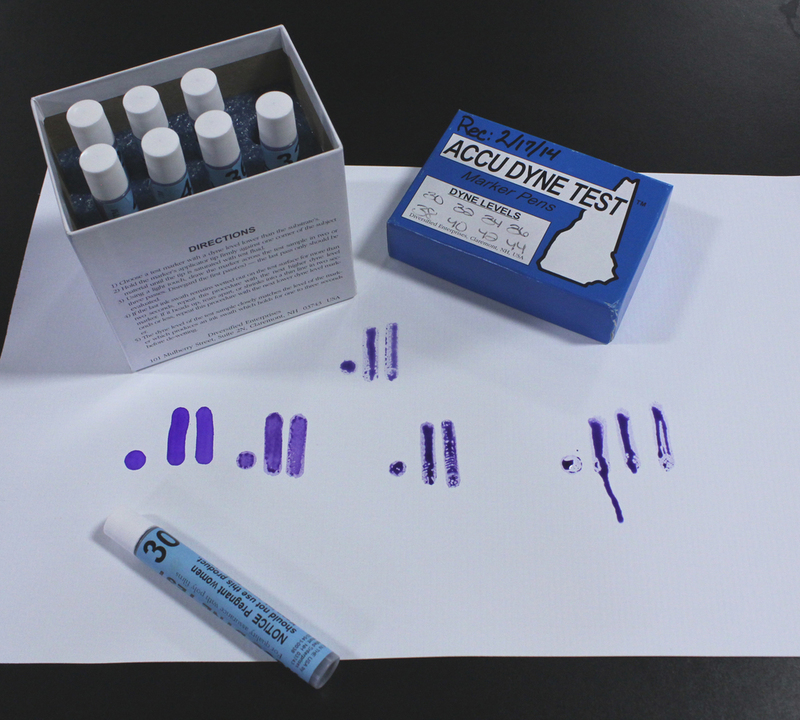 Celina uses the Dyne test pen system, with a variety of pens filled with different dyne-level solutions in order to cover the range that is dictated by the inks we use. Crocking refers to the amount of ink or dye that is transferred from one fabric to another when the two are rubbed together, and includes both dry and wet situations. The American Associate of Textile Chemists and Colorists (AATCC) has standard test parameters which we utilize in conjunction with our Rotary Crockmeters to ascertain whether our printed and colored fabrics adhere to the Association for Contract Textiles (ACT) guidelines for dye transfer according to the types of fabrics tested. Grading scales range from a Grade 5 (no color transfer) to a Grade 1, (high degree of transfer). Celina endeavors to keep on the cutting edge of efficiency testing, and as such has created the Thermal Resistance Assessment Chamber to test the thermal efficiency of various materials. With the ability to mix and match different layers of various materials between heating and cooling units. This lets us evaluate the degree of insulation provided by each type of material and how layering with the same or different fabrics will enhance this effect.